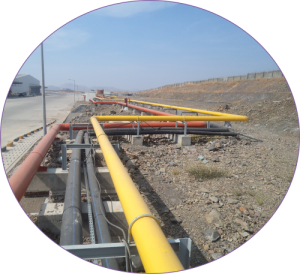 Turnkey utility system design, manufacture, installation, testing and Commissioning. Confirming to respective codes (IBR/IS/ASME/CUSTOM) of material (SS/MS/GI/ALLOY STEEL/PVC/HDPE) and sizes up to diameter 2000 mm. Oil and raw/ soft water service in MS/SS. 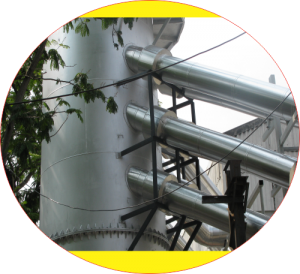 Self / Guy rope/ Structurally supported chimney as per is 6533/custom built with Internal External Surface Treatment. We provide In-house data design soft ware, up to 2000 mm top diameter And 60 meters height. Optional SS/ Rubber /Refractory lining as per client’s specifications. Smoke Tube Boiler Re-tubing & Furnace Replacement. 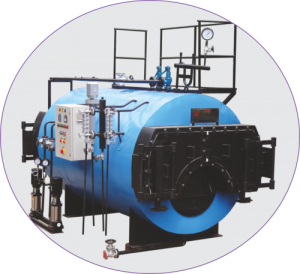 Smoke tube Boiler Modification for capacity Enhancement/Fuel Conversion.